This rice dish is full of flavor and spices. 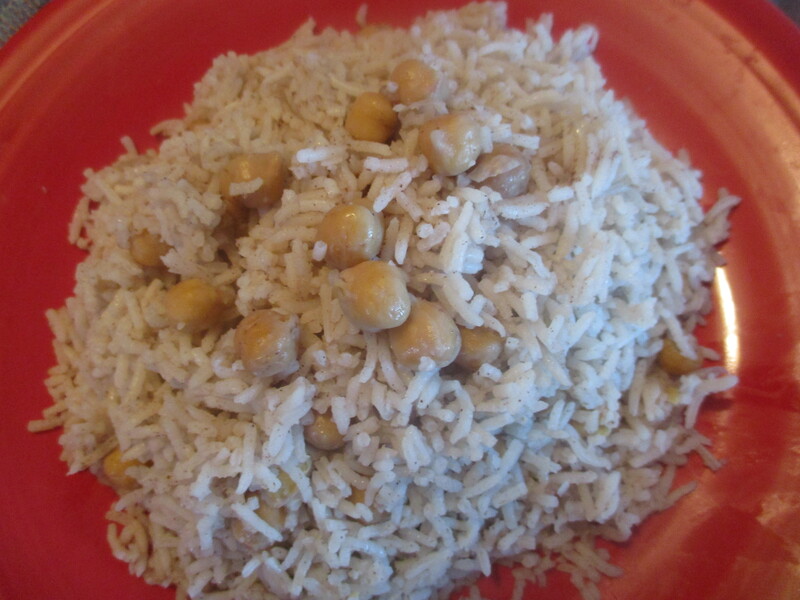 It also has garbanzo beans cooked in with the rice which makes for a lovely texture and flavor. Garbanzo beans or chick peas are literally translated into Arabic as Hummus. So hummus is the name in Arabic for these beans. 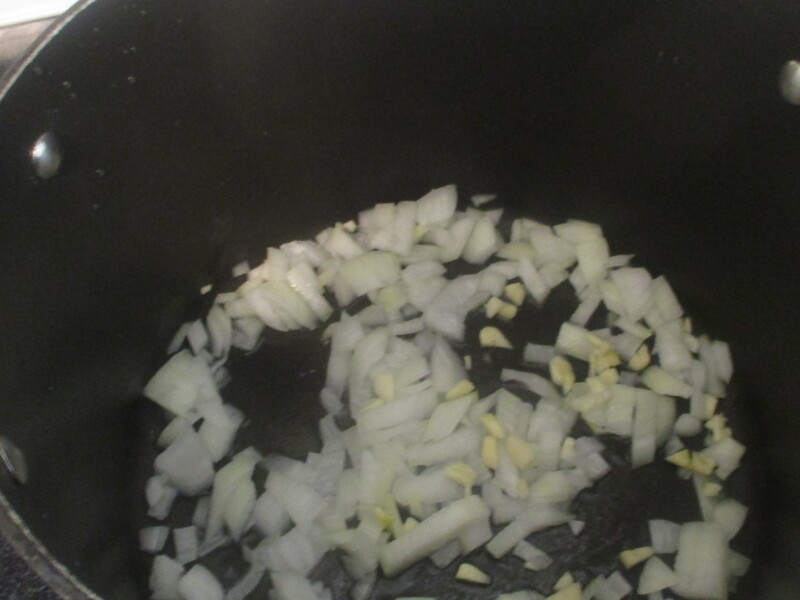 Use a large pan and saute onion and garlic in olive oil. 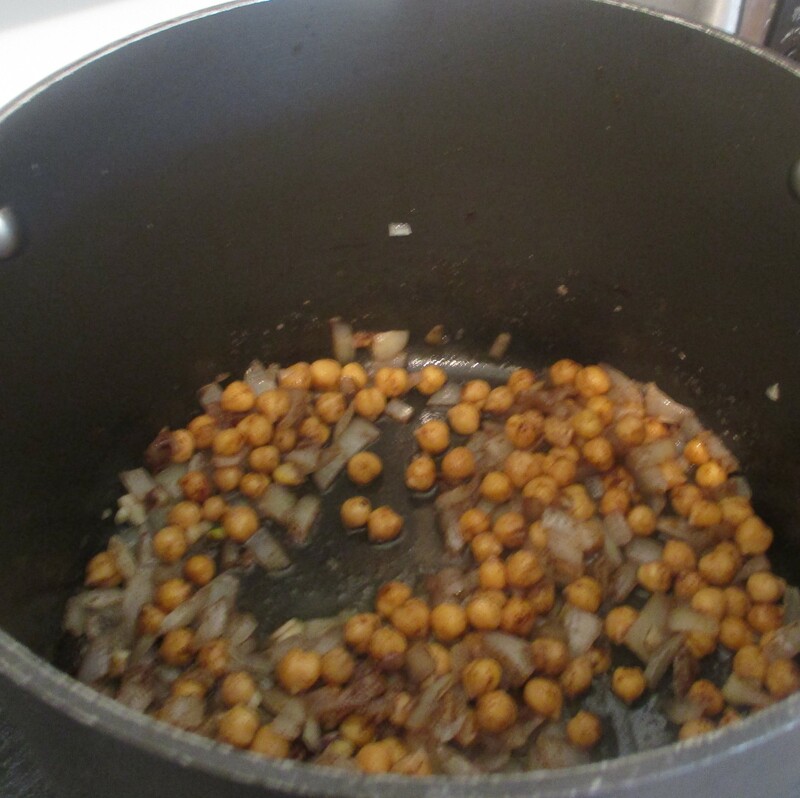 Open garbanzo beans, drain, put beans in with onions and garlic, continue to saute, add spices. Add water and bring to a boil. Rinse Basmati rice according to package directions. Put rice into water and stir. Let this boil for 5 minutes, then cover and turn heat to medium, cook for 10 minutes, turn to low and cook an additional 10 minutes. Remove from heat and fluff rice so it doesn’t stick.